According to the Office For National Statistics (ONS), there was an overall rise in theft in the first half of 2018. This includes burglary, which went up by 2% with 432,267 recorded cases in the UK. 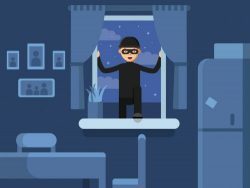 Although some burglaries are difficult to avoid, we have come up with a guide containing four ways to help protect your home from potential intruders, and to prevent them from targeting your home. 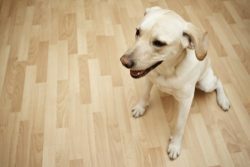 Although getting a large, intimidating guard dog seems like the ideal way to scare off an intruder, most dog breeds would probably do a good job. If you already own a dog, then you’re probably used to the never-ending barking when a postman comes to the door. So if you’re popping out for an evening and are worried about the security of your home, having a dog means that a lot of noise is likely to be created if an intruder tries to enter your home, something that usually puts off most potential criminals and makes them scarper. You may think that you know or trust all of your Facebook friends or Twitter followers, but it can just take one rogue person to spoil your holiday fun. Telling the world that you’re on your jollies can have some terrible consequences, which is famously what happened to former footballer John Terry in 2017. After posting pictures on Instagram telling his 3.4 million followers that he was having a great time in the French Alps, a gang of five men co-ordinated a raid on his home and consequently stole more than £400,000 worth of goods. Of course, this is theft on a particularly drastic scale, but nonetheless you should still be aware that there are plenty of thieves out there seeking opportunities to access empty houses. Waiting till you get home to post pictures of your holiday is definitely the safest option. 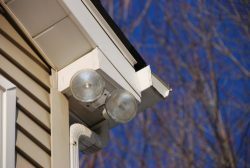 Getting outdoor motion-detecting lights is a wise idea, especially if you live off a main street or in a more secluded area. Additionally, getting timed lights for when you’re not at home would be an extra deterrent for burglars. Why do lights help? The idea is that having activated lights makes the potential burglar think that somebody is already home, which often prevents them from targeting your property. Leaving the TV on whilst you’ve popped to the shops is also not a bad idea! The worst kind of break in would be one that you have inadvertently contributed to. That sounds harsh, but leaving out builders’ tools or ladders can provide the perfect opportunity for a potential thief. 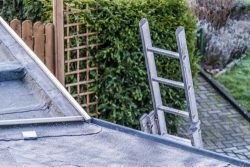 Whilst a ladder could allow the intruder to climb up to a first floor window, the tools could be used to discreetly open the window, even if it is locked from the inside. So if you’re using any of these tools outside, make sure to lock them up in your garage, shed or somewhere else once you’re finished with them! Whether you’re a first time buyer, a renter or someone who has owned a home for a long time, we hope that some of these tips will come in handy. For all of your housing needs, Abode is here to help. From mortgage advice to helping you find your dream property, both of our Crosby and Allerton branches are open seven days a week. 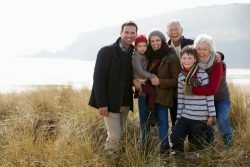 If you want to get in touch or find out more about our services, check out our ‘contact us’ page.